The AMCAT exam is known to help candidates bag their dream job and get set on the path of success. And, to ensure that the candidates get the best environment a good chance to succeed, they are allowed to book the AMCAT exam at a date most comfortable to them. However, despite the flexibility with the exam scheduling dates, it is not always possible that candidates be available to give the test on the date they have chosen. There can be many factors that might turn your decision. And as such, you might want to reschedule the AMCAT exam to a more convenient date. But it is even possible? Can you actually reschedule the AMCAT exam and is there a limit on the number of times you can do it? Can you reschedule the AMCAT exam? Yes, you can easily reschedule the AMCAT test to a later date or move the date up afterwards. For that, all you need to do is log in to your account on the AMCAT portal and shift the exam date accordingly. Also, there is no restriction to the number of times you can reschedule the AMCAT exam. However, you cannot reschedule the exam with only one day or less left for the test. In that case, you would have to put your game face on and get ready to give the AMCAT test. If there any fees involved in it? You can reschedule the AMCAT test once for free. However, for all the consecutive reschedules, you would have to pay a fee of INR 250 + taxes. If there are only five days or less to go for the test and you want to reschedule it, then you will have to pay a higher fee of INR 350 + taxes. You can check out more on how to reschedule the AMCAT test and what all it involves in our FAQ section, here! 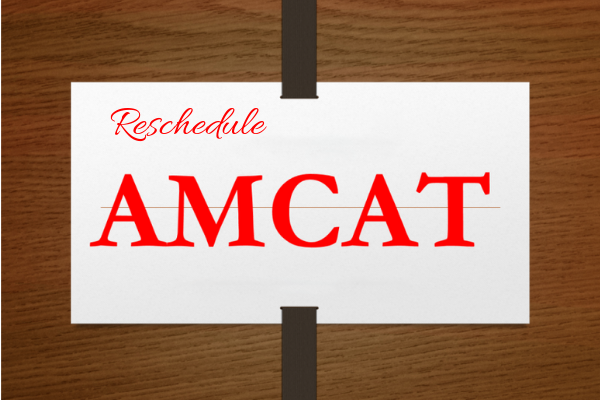 Yes, you can reschedule your AMCAT exam until 24-hours of the test. However, while the first rescheduling is free, for the rest, you need to pay a certain fee. Next articleEnglish graduate jobs - What are your options?